On the 29th of January 1820, upon his father, George III's death and after almost 10 years as Prince Regent, George IV became King of the United Kingdom of Great Britain and Ireland. He ruled until his death on the 26th June 1830, when he was succeeded by his brother William IV. 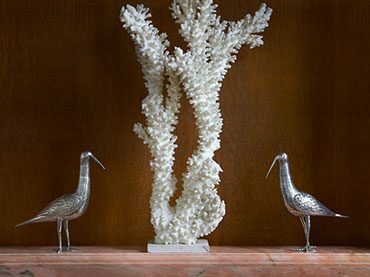 We are pleased to offer a range of fine antique sterling silver from the George IV Period. All of our George IV silver can be purchased online, or from our shop in The London Silver Vaults. Upon his father's death, George IV was crowned King of the United Kingdom of Great Britain and Ireland. He was already well versed in the duties of the King having performed them for the last 9 years, whilst his father was suffering from mental illness. These Regency years had seen victory in the Napoleonic Wars and George IV must have come to the throne with a certain degree of confidence. 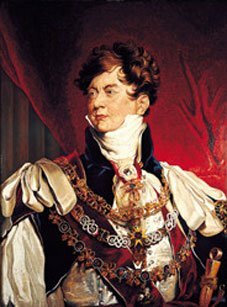 Today, George IV is remembered mostly for his extravagant lifestyle of drinking, womanising and gambling that scandalised the country and got him heavily into debt. However, on top of these other pleasures, George IV was a great patron of the arts. His taste was for the most opulent of designs, influenced by the art and merchandise coming into Britain from its numerous colonies around the world. The most famous of his follies is the Royal Pavilion in Brighton, which wonderfully combines Indian and Chinese exoticism with English eccentricity. George IV silverware continued the trend started during his Regency for showy, opulent silverware designs. England, with more new wealth than ever before and still dizzy from its success both in the Napoleonic war and with trade from the colonies, had a thirst for silverware that impressed. Larger silverware items with plenty of bright cut silver engraving and often heavy cast and applied silver ornamental work were the order of the day.